Health Mate - Android App - I cannot login to my account. What should I do? Make sure that you have entered a correct email address without any typos. For example, username@gmail.com instead of username@gnail.com. 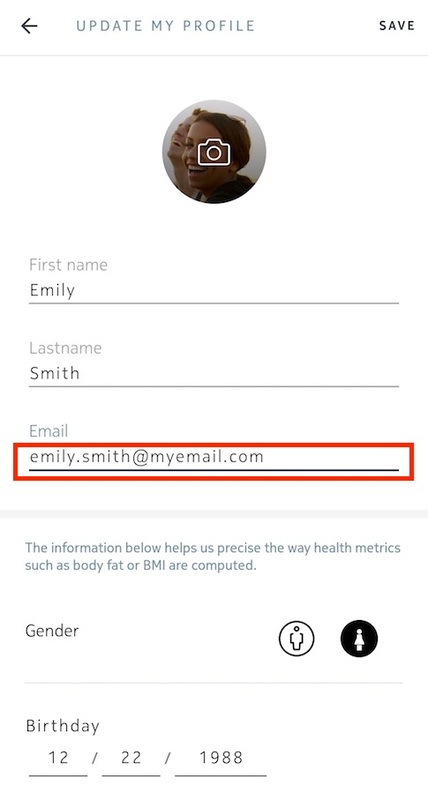 Tip: if you are already logged in the app (for example if you are currently using the Health Mate app on another device), you can find the email address of your user by going to Profile, tapping the gear icon in the upper right hand corner to access the current logged user's profile, then checking the Email address entered.